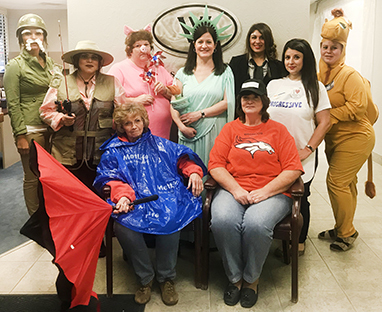 Several local businesses celebrated the Halloween holiday last week, adding a little fun to the office by coming in costume. 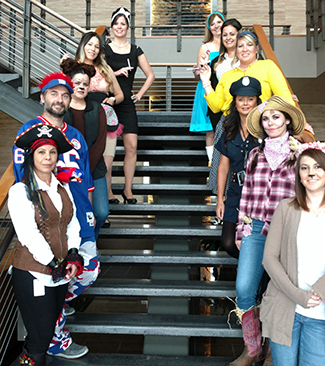 Above, employees of Mack Energy Corp. showcased a variety of costumes, as did staff of JS Ward & Son, pictured below. 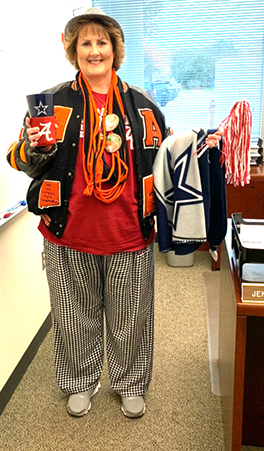 At bottom, Jennifer Palma of EOG couldn’t seem to pick a team, so she arrived dressed as an Artesia Bulldog, Alabama Crimson Tide, and Dallas Cowboys Superfan.